I am hoping you will send me the new Girl Most Likely to read for review. I am a MAC fan since the 1970s–and on my wall I proudly display an original art Secret Agent X-( I purchased from him in the late 1970s! Best wishes for continued health and good stuff all around. By the way I went to see Stan & Ollie Sunday night as I figures it would be more fun hanging with Laurel & Hardy than Brady & Belichek. I was right. John C. Reilly especially amazed me with how precisely he captured Hardy’s voice in tone and phrasing. He and Coogan were wonderful. I dig the Trash and Treasures series. They’re a lot different than Quarry, but still well constructed mysteries. I had the same reaction to “Stan and Ollie.” I always felt a love come through in the Laurel & Hardy movies and “Stan & Ollie” projected this same relationship. Cohan and Reilly were great. My only complaint is that I’d have loved to have seen more of Danny Huston as Hal Roach. Maybe there’ll be a spin-off biopic! Barb and I have been watching the new blu-ray set of Laurel & Hardy, prime Roach material. Wonderful. Coming Soon from Max Allan Collins for You. I will place a pre-order with my local bookseller. As blogging and reviewing is purely a hobby for me, to stay ahead of the game, I have already finished reading ‘Girl Most Likely’. Katie from Little Bird Publicity has already sent through a pre-prepared Q&A conversation she would like published on April 1st. I had planned to post my review shortly after that date, however as Goodreads will allow advanced review posting, I can always advance post sooner if you would like, then publish the Q&A later, as planned. I’ll leave it up to you, just drop me an email and let me know! I must admit that I generally try to offer a balanced review, as befits the integrity of the author, so I wouldn’t be too discouraged by the couple of negative reviews to date, although I appreciate that they may not make comfortable reading. I admire authors who are able to write across multiple genres and although I have to admit to having one or two small reservations about the relevance and continuity of a couple of the story threads, this in no way detracted from the quality of the storyline as a whole. 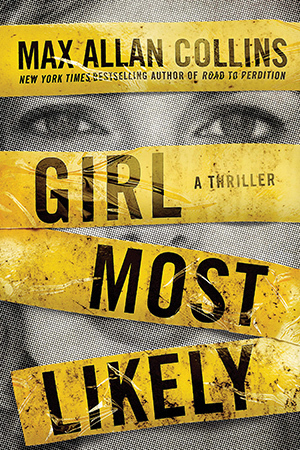 I read a lot of murder / mysteries and psychological thrillers and ‘Girl Most Likely’ is way up there with them as one of the best. Thanks, Yvonne! I have replied at your own site. But I wish all reviewers were as smart and balanced as you are (but that ain’t gonna happen). MAC – What new Laurel and Hardy Blu-ray collection? I can’t find anything on Amazon. It’s a British set. I can play region B. It’s probably not much, if any, better than the DVD set, LAUREL AND HARDY — THE ESSENTIAL COLLECTION, which has all the Hal Roach stuff and lots of bonus material. Thanks for the info – I keep hoping for an ultimate set someday including their Hal Roach silents.